Nestham is a unique mobile recharge application for bill payment, recharge. Recharge Nestham accepts payments via Credit Card, Debit Card, and Net Banking. You can make a prepaid recharge in less than 5 seconds. 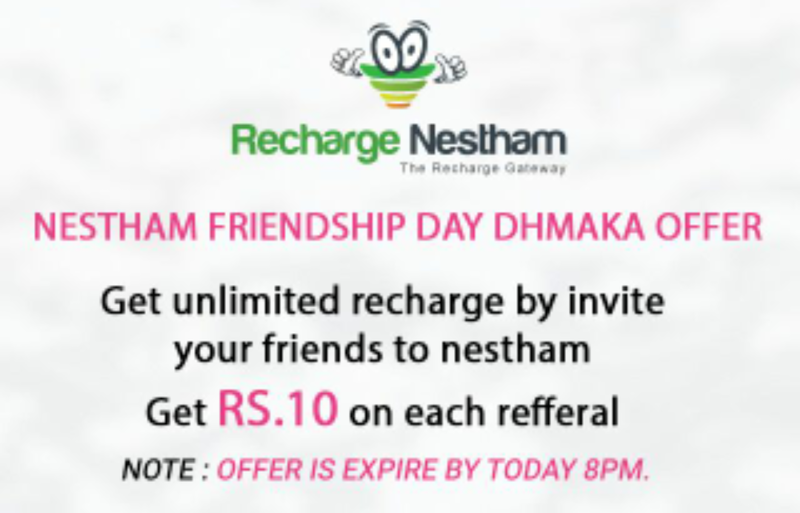 "Nestham Started Refer & Earn Program as Friendship day Offer- Where you get 10 Rs Per Refer"
Refer & earn Valid till 8 PM Today Only! 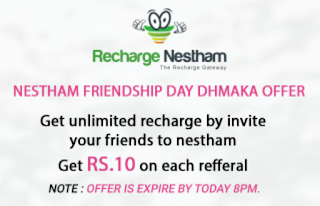 So Download & Refer your Friends to get 10 Rs For each Referral!! • You will get 10 Rs for each Successful Referral once your Friend downloads App & Register using your Refer Link. Note :- Refer & Earn Valid till 8 PM Today Only!